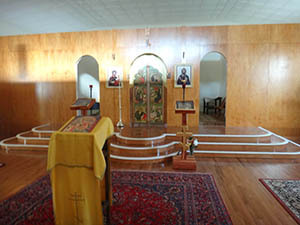 For sometime, a small group of faithful had been seeking to establish an Orthodox mission parish in the Knoxville, TN area in order to expand the Church’s work in that region. After much searching, the faithful came into contact with His Eminence Metropolitan Hilarion, the first hierarch of the Russian Orthodox Church Outside Russia (ROCOR). In August of 2009, Vladika Hilarion asked His Grace Bishop George of Mayfield (vicar bishop of ROCOR’s Eastern American Diocese) to meet with representatives of this potential mission and the Priest Job Watts. It was at this meeting that Vladika George was asked to suggest a name for the mission parish. After prayerful consideration, His Grace suggested that the mission accept St. Nektarios of Pentapolis and Aegina, a holy Greek bishop who reposed in 1920, as its heavenly patron. On August 26, 2009, Fr. 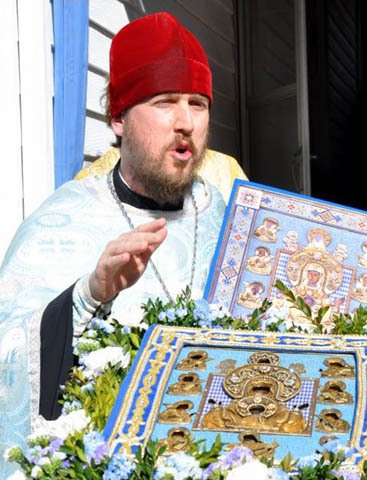 John Moses, who oversees southern missions, contacted the community to inform them that Vladika Hilarion had given his archpastoral blessing for the mission to be established with Fr. Job as the rector. Now infused with enthusiasm, the faithful of the mission began searching for a permanent location to worship. Shortly thereafter, the quaint 80 year old historic Clinch View Presbyterian Church, located on a rural hill in the Lenoir City area, was discovered to be for sale. The location was thought to be ideal as it would be far enough from our two sister parishes, St. George (Knoxville) and St. Anne (Oak Ridge), as to not interfere with their labors. With the Blessing of Metropolitan Hilarion, the community moved forward with the purchase of the property. A few of the families, as an act of faith, took upon themselves the burden of the mortgage, and the church was purchased on November 30, 2009. 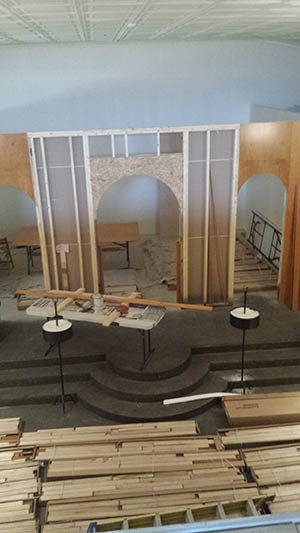 This began a lengthy renovation project to restore the church building, which was in need of major repairs. 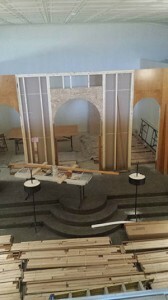 Over the next four years, the parishioners worked almost continuously on the building, sacrificing much of their personal time for the Glory of God. During this period, services were held in the fellowship hall. In February 2010, Fr. Onouphry Keith of St. Nicholas church in Fletcher, NC celebrated for the people their first Divine Liturgy as the community of St. Nektarios of Aegina. On Thomas Sunday of the same year, Fr. Job was officially assigned as the rector by Vladika Hilarion. From that day on, the Divine Liturgy has been celebrated every Sunday, with special services, vespers, vigils and festal Liturgies added over the years. In February 2011 the parish was blessed by a visit of the miracle-working Kursk Root Icon. The visit of Our Lady’s icon forever changed the life of the parish. Many of our current parishioners were brought to the parish through the intercession of the icon. Today, a few years after the establishment of the mission and a great deal of labor, our church has been blessed with much growth both spiritual and physical. Our beautiful, newly remodeled temple reminds us of the Heavenly Kingdom, and that our labors have not been in vain. We pray as a community that St. Nektarios Orthodox Church may become worthy of our archpastor Met. Hilarion’s blessing, and that through the prayers of the Most Holy Theotokos and our father amongst the saints St. Nektarios of Aegina, our parish may become the ark of salvation for those in the East Tennessee region. St. Gregory the Theologian: Let us become like Christ, since Christ became like us.